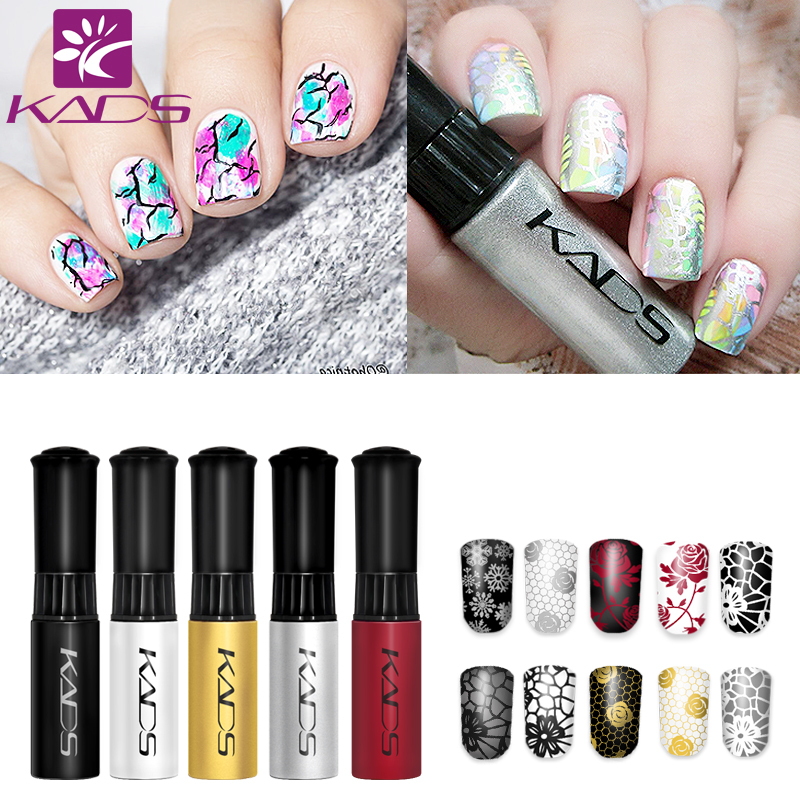 KADS new nail polish use imported environmentally friendly materials, do not contain formaldehyde, toluolavi-metal and other harmful substances, contains avocado essence to better protection for your nails.about functional it broke through the characteristics of traditional nail polish, not only can be used separately has high gloss and completeness, it can also be used as stamping polish, it has an excellent transfer effect. 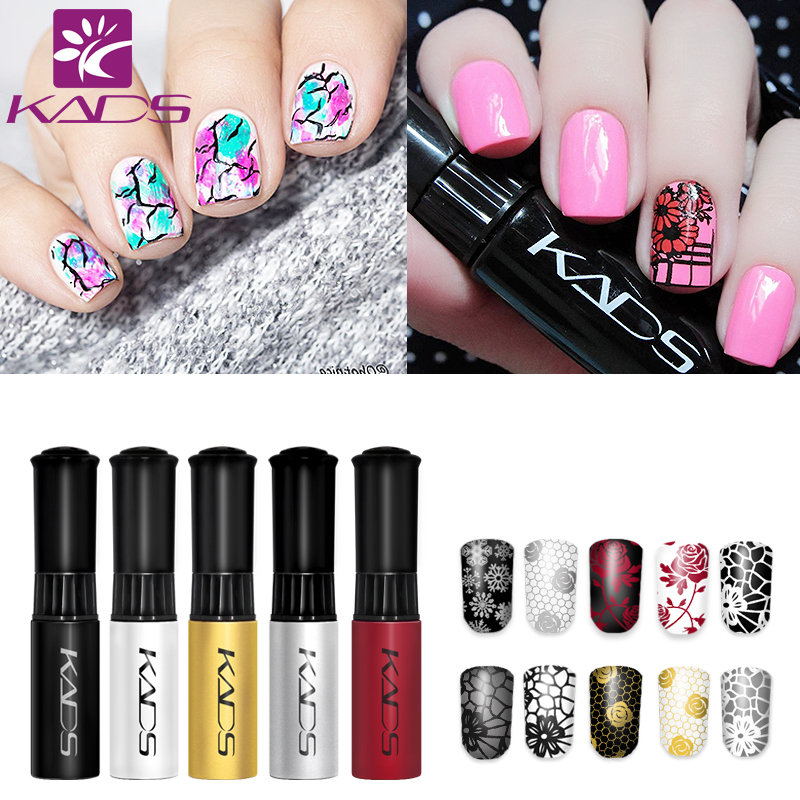 Kads Nail polish will not have a situation as dry and heavy to daub. > Comes in a 10g bottle with a brush applicator. > Has a strong colour pigmentation making it great for stamping over dark colours. 3) Remove the excess nail polish with a nail Stamp & Scraper using a 45º angle. 4) Roll the nail Stamp & Scraper over the selected design being careful not to use too much pressure. 5) Transfer the design by rolling the Nail Stamp & Scraper over you nail. IF you haven't received your goods within the normal time or you think there is something wrong with the transportation process. please don't worry and feel free to contact us we will check it for you.